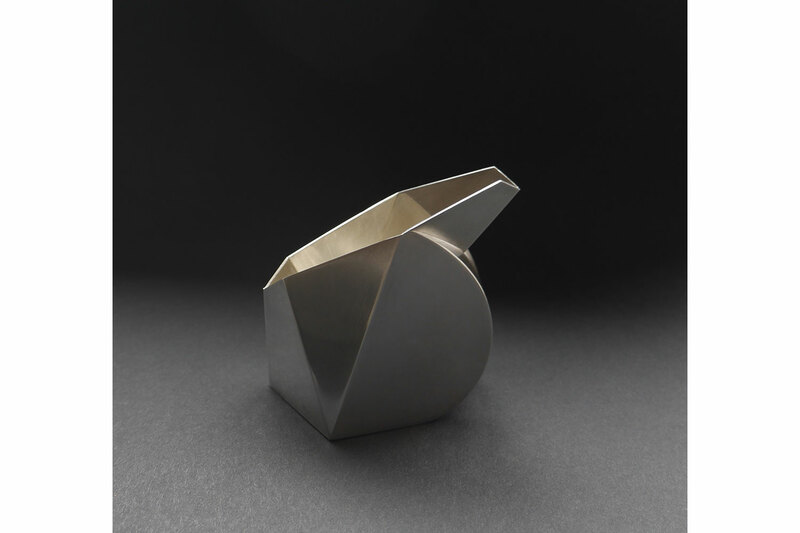 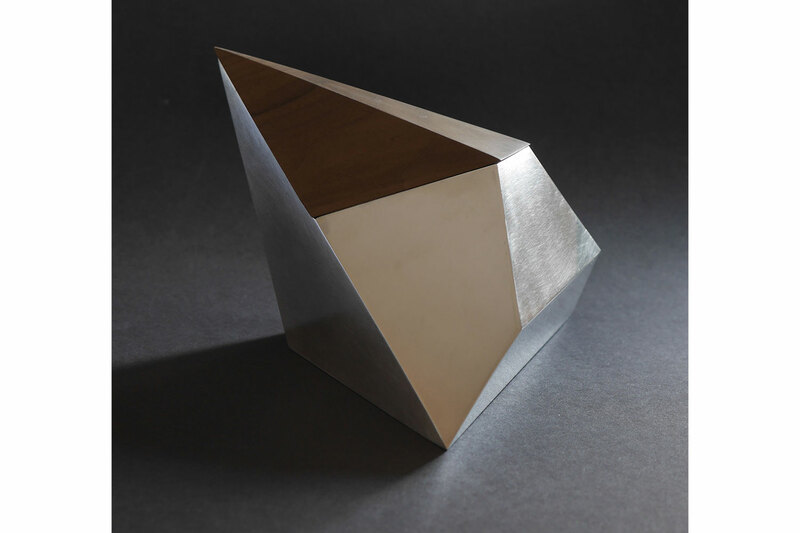 Originally inspired by architectural frameworks and the process of folding sheet metal to create angular forms, Imogen uses the score and fold technique to manipulate sheet silver to create tableware and functional objects. 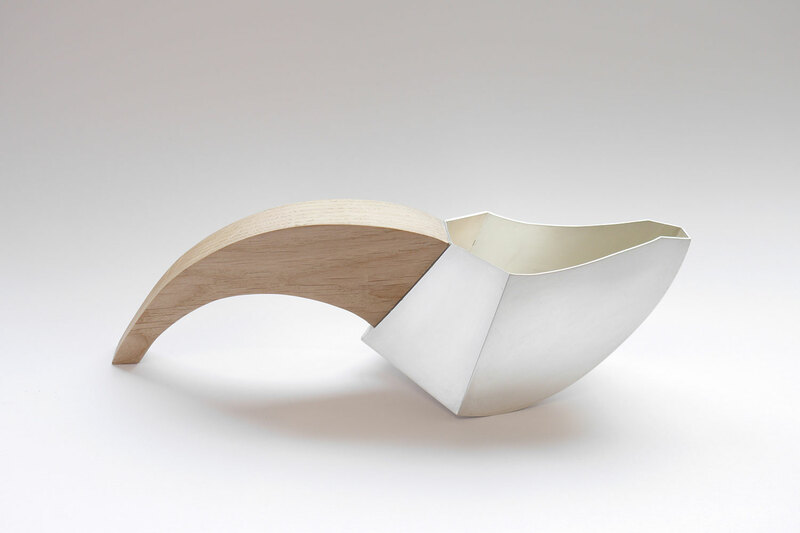 Combining angular and curved planes she creates vessels and spoons that lean and extend into the spaces they inhabit, giving them a sculptural presence and not just a functional purpose. 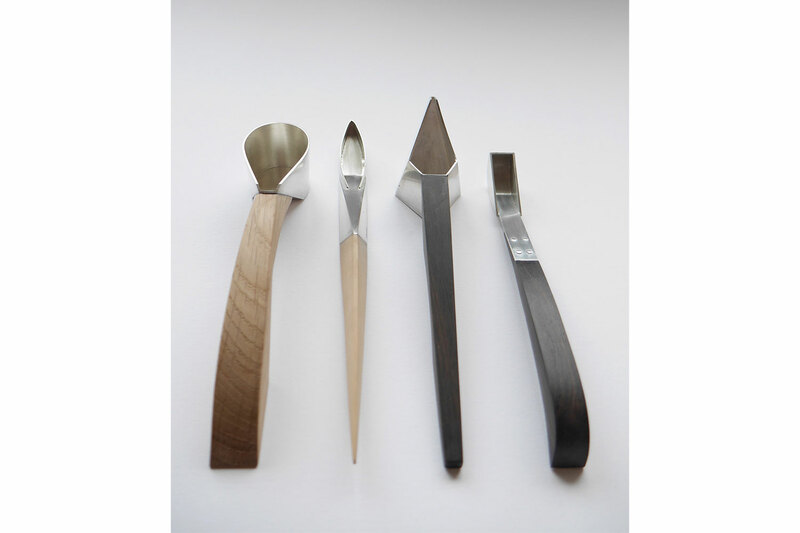 Imogen utilises wood to complement and contrast with the form and colour of the silver vessels, particularly with her spoons and jugs where the wooden handles extend the angles and curves of the silver forms.